LMS consulting can help you find the right system for your budget and online training needs. This article features a step-by-step look at how to choose the best LMS vendor for your online training program. Many organizations focus solely on the software when choosing a new LMS platform. However, investing in an LMS requires more holistic research that involves vetting the LMS vendor and evaluating past user reviews. But where do you even begin? And how much time should you allocate for the LMS vendor selection process? 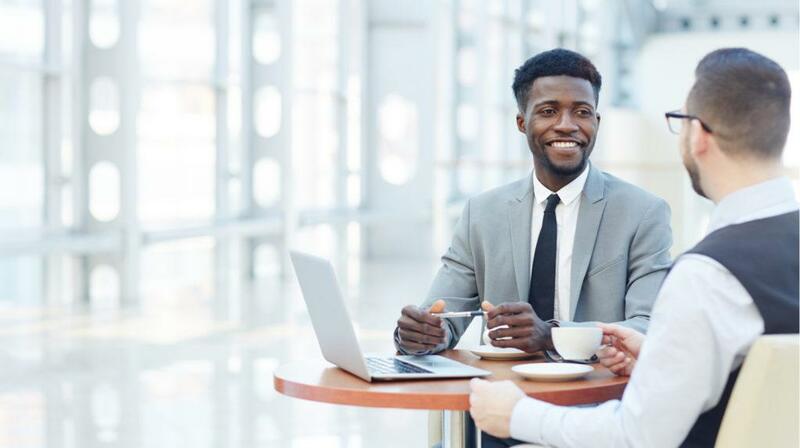 Follow these 8 steps to successfully select an LMS vendor who provides the best LMS customer experience and value for money. It begins with a free LMS consultation that allows you to narrow your search based on your key criteria. It’s a 4-step process that includes all the basic details, such as organizational details, project scope, implementation details, and contact info. Once you submit your request, an LMS consultant will reach out with your LMS recommendation list, which features the top solutions that can offer your organization the best ROI. Review the LMS recommendation list sent by the LMS consultant and identify top contenders based on your budget and essential features. This also gives you the opportunity to disclose LMS vendors you may have overlooked or are newer to the industry. For example, LMS companies who recently entered your sector or expanded their functionality to include new use cases. Once you’ve whittled the list down to your top options, use an online directory to vet the LMS vendors. Learn more about their company history, unique selling points, and pricing options, as well as their customer types, specs, and deployment options. Invite your L&D team to review the LMS vendor’s profile as well, so that they can offer their input. For example, your LMS admin may already have a negative past experience with one of the system. Or they’ve heard great things about it and can follow up with colleagues to gain more insight. Another effective way to delve into the overall LMS customer and user experience is to analyze user reviews and ratings. Read what others have to say about the LMS performance and usability. Those with similar use cases should carry more weight, as they give you a better idea of whether the LMS is ideal for your online training requirements. You should also pay close attention to the “likelihood to recommend” score and the overall rating. At this point of the LMS vendor selection, you probably have a more targeted list of LMS solutions and have eliminated some from your consulting recommendations. Now it’s time to compare your top choices and see how they stack up against the competition. You’re able to choose 3 Learning Management Systems to evaluate side by side. The overview covers all the key areas, from pricing and features to user satisfaction ratings. Hopefully, this gives you enough information to narrow your choices even further so that you can carry out more extensive research during the next stage. Look up the company’s website, or access it directly through their directory profile, and see what they have to offer. Pay attention to their overall brand image, testimonials, and other key selling points. You can also peruse their social media pages to determine how active they are online and how they engage with users. For example, they answer comments within a reasonable time frame and conduct themselves professionally instead of getting into online spats with anyone who gives them a negative review. Another great place to vet the LMS vendors is third-party social media groups that feature LMS recommendations and reviews. For instance, members share their experiences with the LMS platform and why it fell short or lived up to their expectations. Contact the LMS vendors who’ve made the cut to schedule a free consultation. Most LMS companies offer these one-on-one meetings to address your questions and concerns. This also allows them to pitch their product according to your online training needs. For example, explain how their platform can help you improve compliance and employee retention rates. Be prepared with a list of questions to ask and invite key stakeholders to sit in, such as your LMS admin or HR manager who must use the system regularly to achieve training outcomes. In some cases, you can even set up a video conferencing meeting with the sales rep if they aren’t based locally. The last item on this checklist is often the first you see in other LMS vendor selection guides. However, setting up an LMS free trial or demo should be the final step in the process, because it does require some form of commitment. You have to allocate time and resources to test out the platform before making your final purchasing decision. There’s also prep work involved, given that you need to evaluate your objectives and criteria so that you’re ready to analyze the system more effectively. In some cases, you might even develop a sample project to see if it meets your expectations and aligns with your team’s skills. For instance, the User Interface is too complicated and may pose a challenge for employees who aren’t tech savvy. Which means that you may have to go back to the original list and identify better LMS options for your company. Successful LMS vendor selection starts with finding an experienced LMS consultant to expedite the process and help you narrow down your top choices. Armed with their suggestions, you can vet the LMS vendors and see what past users have to say about the software. Then contact the top candidates for a consultation and free demo. Keep this guide on-hand to plan your next moves and choose an LMS that’s best for your organization. Get your free LMS quote in 4 easy steps. We’ll send you a personalized LMS recommendations list to choose a system that suits your need, budget, and must-have feature list. 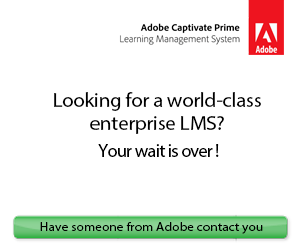 An experienced LMS consultant is the best guide you can get for this endeavor. 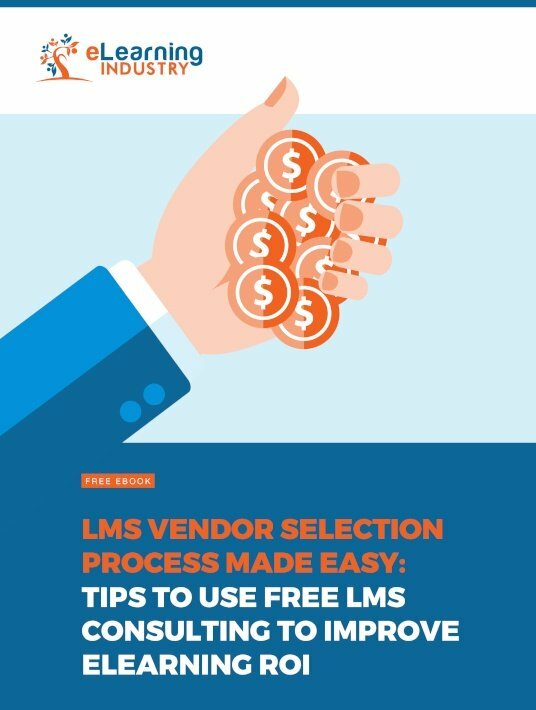 Download our free eBook LMS Vendor Selection Process Made Easy: Tips To Use Free LMS Consulting To Improve eLearning ROI to discover the benefits of using free LMS consulting services during the LMS software selection process, important details you need to figure out before your LMS consultation so as to get an accurate recommendation list, and how to vet LMS vendors afterward.